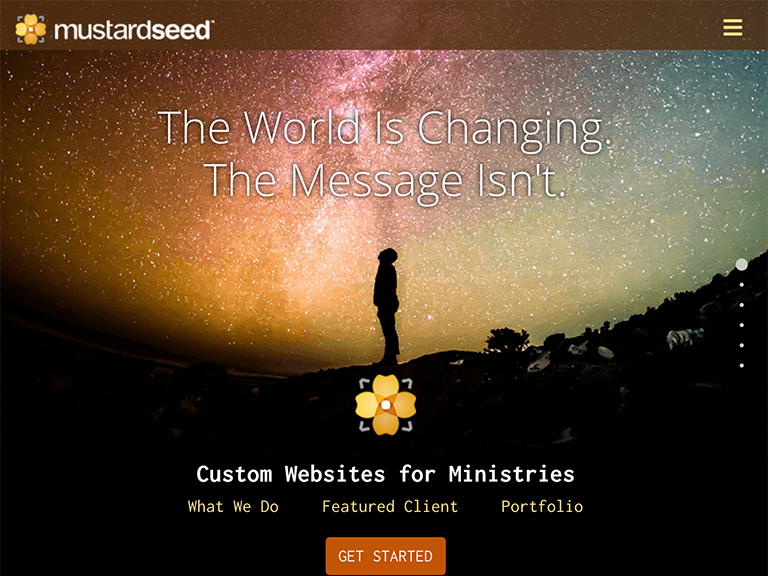 Mustardseed Media has been building custom websites in Drupal (and now Backdrop!) since 2005! This was a case of the cobbler's kids finally getting some new shoes! The old saying goes that the cobbler is so busy working on other people's shoes that his own kids go around barefoot. Well... that's what was happening around Mustardseed for the last 10 years... they were so busy building other people's sites that their own sat there dormant for many years. 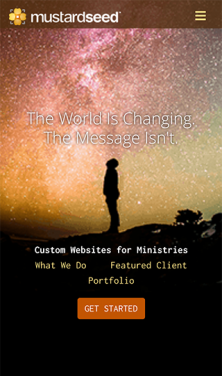 Excitement about rebuilding in Backdrop CMS finally pushed a redesign and rebuild of the site in 2018. 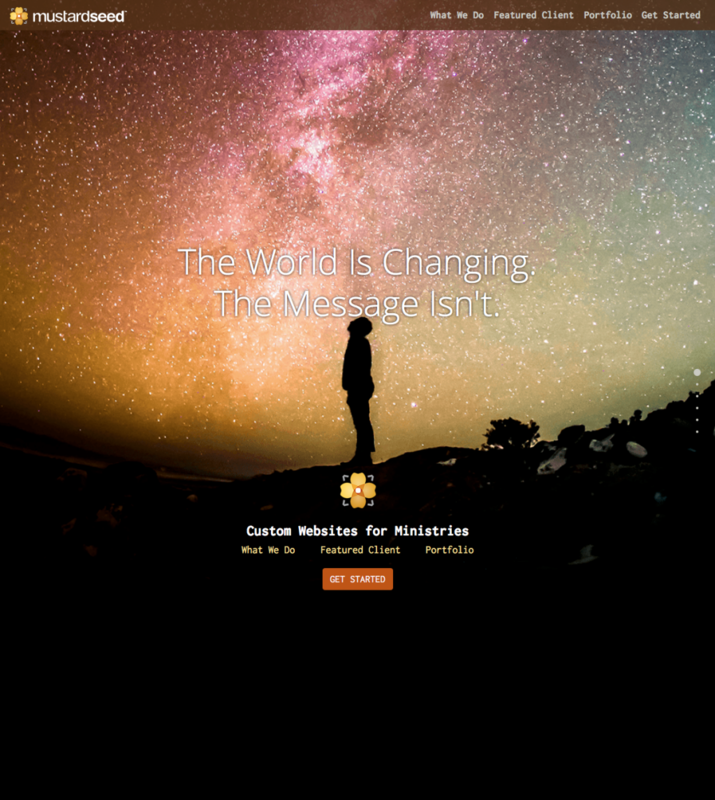 The old site was fairly complex and this time around Mustardseed opted for a simple (mostly) one-page design that utilizes full screen frames and lots of Backdrop power! The site is built on the core of Backdrop with very few additional modules. Rather than a base-theme, a custom theme was built using the latest Twitter Bootstrap 4 framework with help from the fullPage.js library. We also retained a very simple library of our previous Drupal video podcasts (migrating them easily with Feeds module) and hope to make some Backdrop training videos when the time is right. Building the new Mustardseed Media website in Backdrop was just the start. It's in the plans to build all our sites in this framework from now on! Why was Backdrop chosen for this project? We love Drupal 7, but it was getting a bit older and it was time to start looking at what was next. Drupal 8, in our opinion, was going in the wrong direction. Too big. Too Corporate. Too cumbersome to develop with. It was going to cost our customers more money for less return. Backdrop is the remedy for the future of Mustardseed and therefore was the perfect choice to use on our own site. Backdrop is easy to use and is extremely powerful (like Drupal 7) but it also has an elegance, a simplicity, and a straight-forward approach that makes it modern and attractive. The community of people that are developing Backdrop was also a huge draw. Friendly, helpful, and open, the folks making the Backdrop project happen were the kind of people I wanted to count on... to interact with. The community was a huge encouragement to make the leap to Backdrop. But truthfully, moving to Backdrop from Drupal 7 wasn't a leap at all... it was the next sensible step. Built on Backdrop with support from Bootstrap, fullPage.js, Feeds, Webform, and not a whole lot more. A simple and straight forward site!